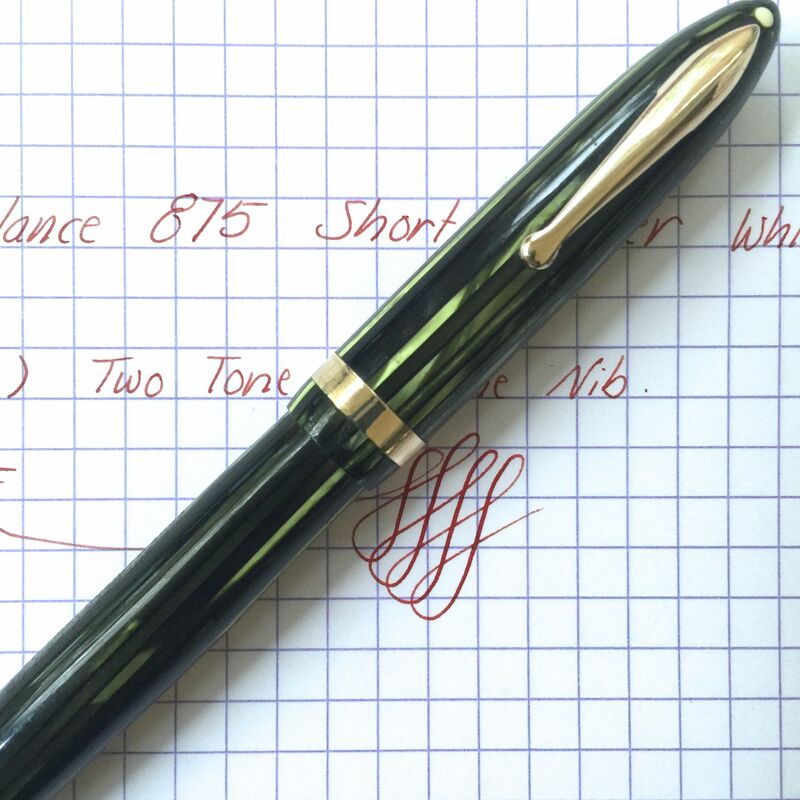 This is a fantastic Sheaffer Balance in the short slender size and marine green striped body was probably produced in the early 1940s. The body is in very nice condition with only light surface scratching much of which I have buffed and polished out. The gold filled trim is in great condition with no brassing. Imprints are good and crisp as well. 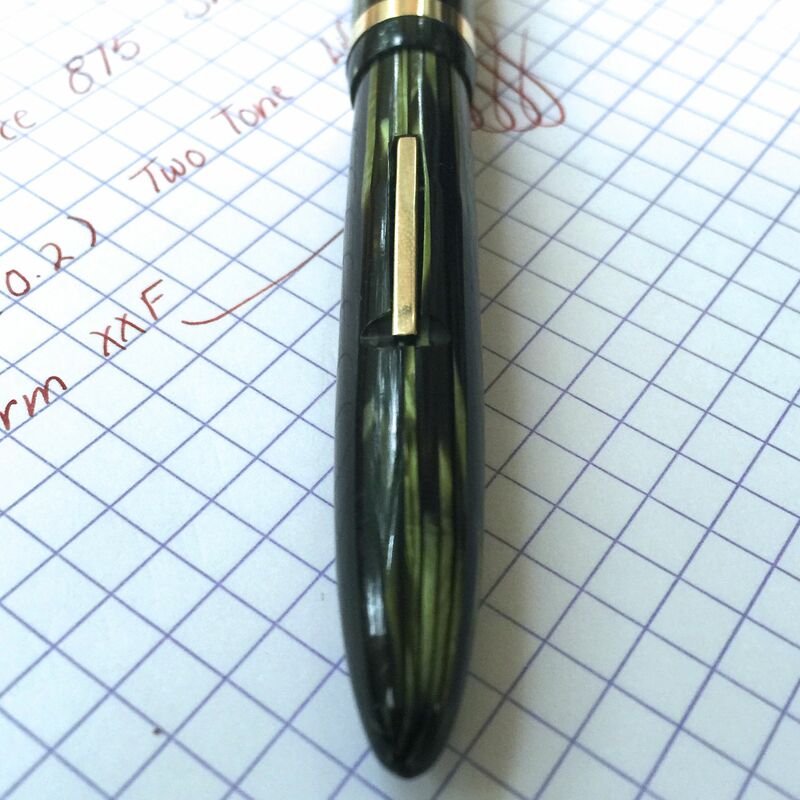 The ink window in the section still has pretty good transparency. 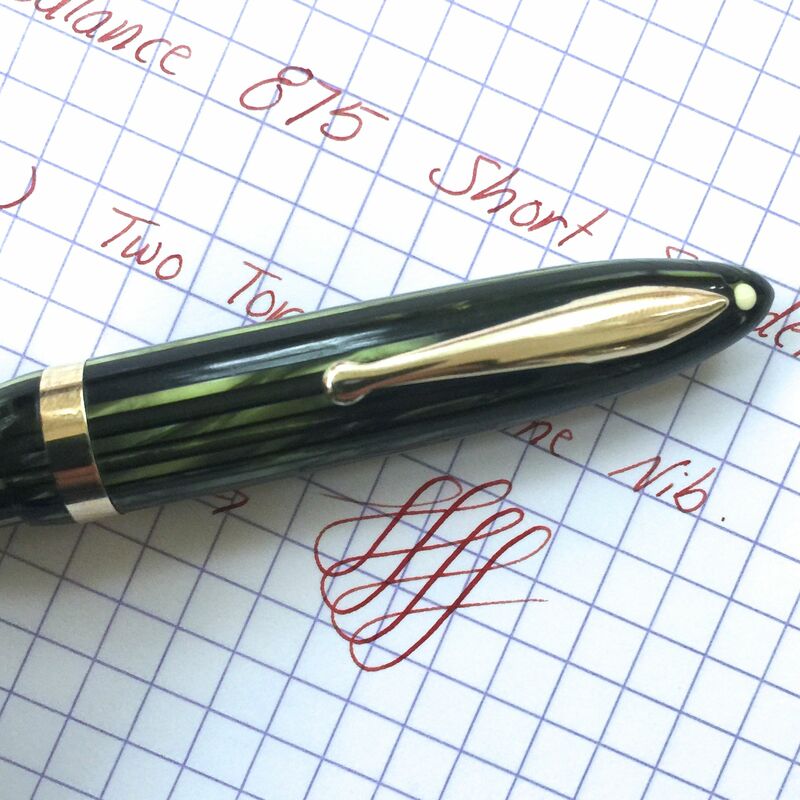 The 14kt. 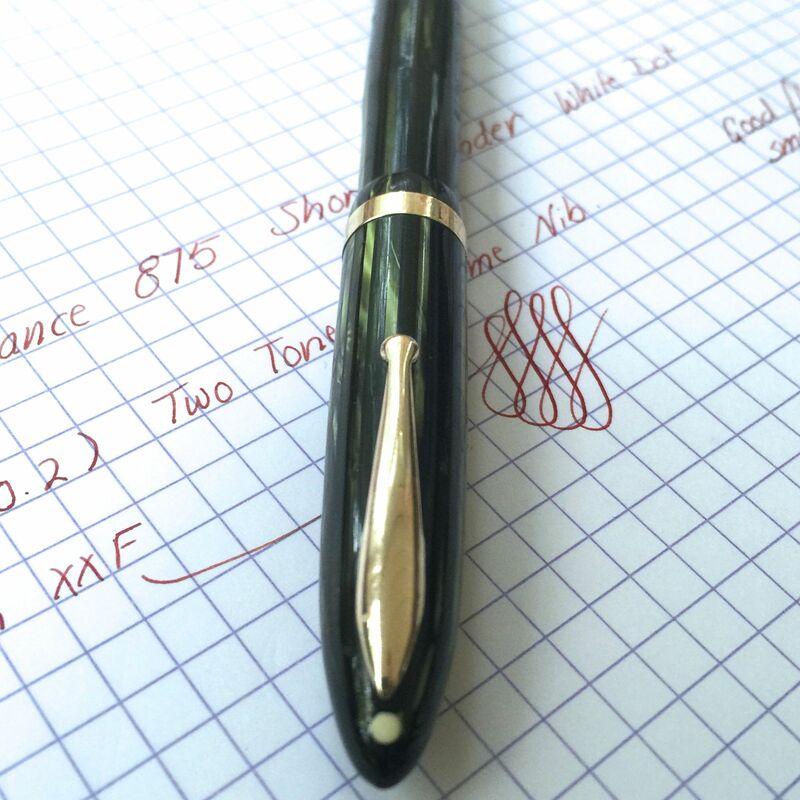 Sheaffer Lifetime two-tone nib is a superb XXF (0.2mm). It is smooth with just a little feedback. 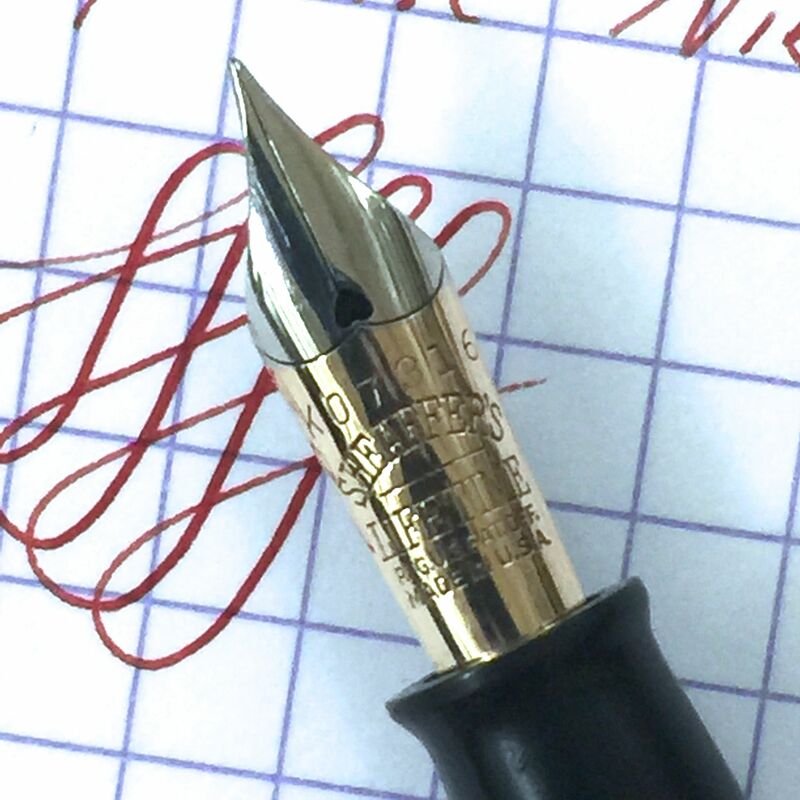 It reminds me of my Aurora Optima nib. 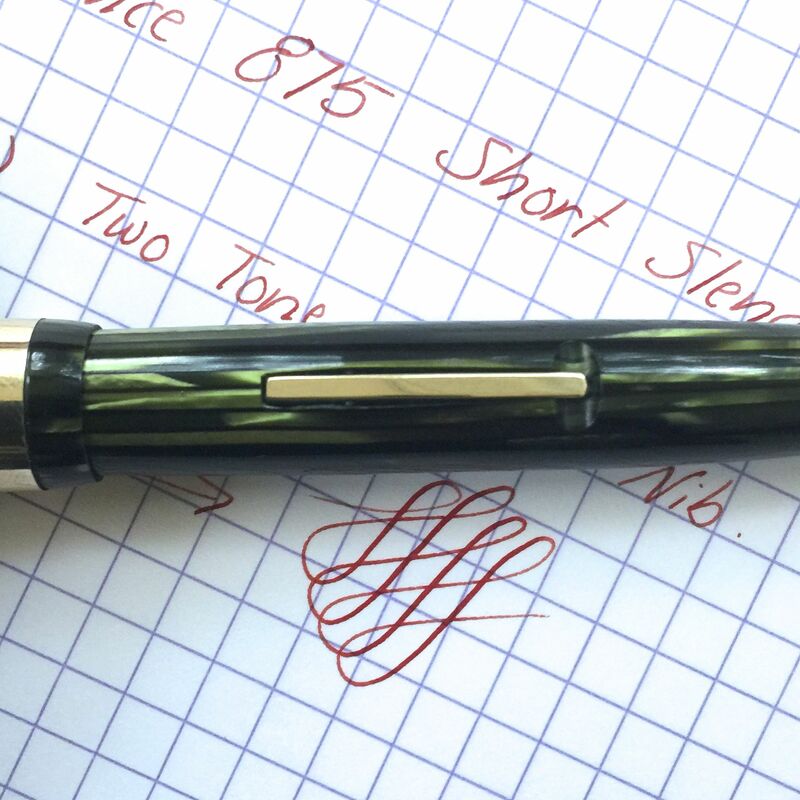 These are classic, well built pens that the set the bar for quality in their day.